Dubai: Saudi Crown Prince Mohammad Bin Salman told Egyptian media the Qatar issue was “very trivial” and that the entire population of Qatar was less than the number of people on one avenue in Egypt. The crown prince, who was meeting editors-in-chief of Egyptian dailies on the sidelines of his three-day visit to Egypt, said the only way to settle the crisis with Qatar was the way the US dealt with Cuba in 1959, when relations between the two neighbours dramatically plummeted after the Cuban revolution. The tensions led to the US severing its relations with Cuba and imposing an economic blockade that started in October 1960. The embargo was partly eased during the first term of former President Barack Obama. Prince Mohammad reportedly said psychological complexes were behind the moves by Qatar’s rulers towards Arab nations. Any minister in the Saudi cabinet can solve the Qatar crisis, he said, according to Saudi daily Okaz. In his meeting with the Egyptian media, Prince Mohammad condemned the “hostile practices” by Tehran, stressing that the regime in Iran was a paper tiger. He denied any form of oppression of the Shiites in Saudi Arabia. “Shiites in Saudi Arabia contribute to the progress of the kingdom and hold leading positions,” he said. Regarding the war in Yemen, he said that it was nearing its end following the achievement of its goal of reinstating legitimacy in the confrontation against Al Houthi rebels. Prince Mohammad said Saudi Arabia supported the Palestinians to establish their own independent state on the basis of the June 4, 1967 borders with East Jerusalem as its capital. 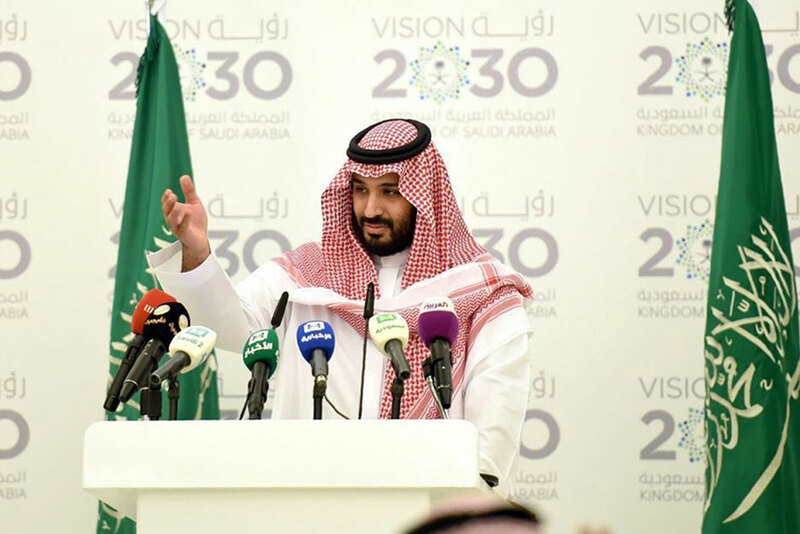 Domestic social reforms, including allowing women to drive and to attend football matches in stadiums, were not against genuine Islamic values, Prince Mohammad said. “Islam is a religion of tolerance and we are opening a wide door to discuss all views in the kingdom. In the past, there was a 60 per cent rate of extremism, but today it is less than 10 per cent,” he said. The reforms will have positive effects for the county’s economy and for the people, particularly young people, he added. For instance, Saudis used to spend their holidays abroad, but they are now looking at spending them in the kingdom, he said. Meanwhile, an adviser at the Royal Court, Saud Al Qahtani, who reported some of the prince’s remarks on his Twitter account, said he supported the statements on Qatar. Al Qahtani was referring to the decision by Saudi Arabia on June 5 last year to close the land border with Qatar, its only terrestrial link to the rest of the Gulf and Middle East. The adviser confirmed that the Qatar crisis did not hold a major significance for Saudi Arabia. One commentator, Sami Al Yahya, said the Qatar issue did not take up more than 7 per cent of the ministry’s employees. “This means that he can review it in the lift as he is heading to his office,” he posted.